1 Looking to buy this X-Lite? 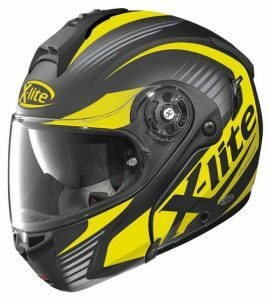 9 Best place to buy this X-Lite crash helmet? 13 Good Alternatives to the X-Lite X-1004? 14 Looking to buy this X-Lite? 15 Definitely want an X-Lite? The X-Lite X-1004 is the replacement of the old X-1003. 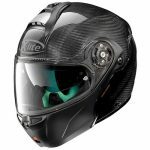 It’s a composite fibre-shelled modular/flip-front helmet with an integral sun visor that’s dual-homologated, meaning it’s legal to ride around with the chin guard up or down, like a full face helmet. The old X-1003 was a great helmet – a SHARP 4 star safety rated helmet at a reasonable cost that packed in a host of useful features. On the surface, this new X-1004 seems to offer the same range of features but its price has rocketed. It’s new to the market so we’ll have to wait a while before we can find out if it’s worth the extra cash – although if you’re wanting a new modular helmet, you can check out our tried-and-tested recommended alternatives list at the bottom of the page. But for now, here’s what the X-lite X-1004 has to offer. X-Lite helmets have an excellent reputation for safety. Of the eleven helmets tested by the independent helmet testing dudes at SHARP, so far they’ve never scored below four stars (out of five) which is an amazing score! Which means of course, the X-Lite X-1004’s predecessors, the X-1002 and X-1003, both scored four stars at SHARP. And guess what? The X-1004’s now been tested at SHARP and scored a surprising 4 stars too. Which is obviously no surprise but still a great score. 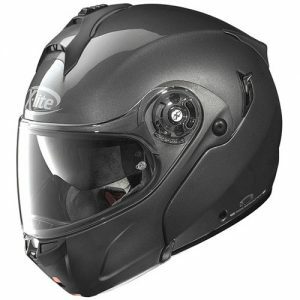 The X-Lite X-1004 is also ECE 22-05 certified (as are all helmets on sale in the Eu) and it’s been dual-homologated, meaning it can be legally worn while riding as both a full-face and with the chin guard up (in Europe). Not all modular helmets can be legally used like this, though it has to be said you’d be very unlucky indeed if you ever got nicked for it! Of course, most of us are going to be using our flip-up helmets with the chin guard down while we’re riding, so we expect the chin guard to give us decent protection. Unfortunately, that’s not always the case. Thankfully, SHARP reports on how often chin guards stay locked and closed during their impact testing. So far, both the X-1002 and X-1003 ‘system’ helmets (as they call flip-up helmets) have been tested, with the 1002 scoring 100% and the 1003 scoring 97%, meaning that’s the percentage of test impacts the chin guards stayed closed and locked. Obviously, the X1004 chin guard has been tested too and that remedied the tiny slip-up they saw on the 1003 and scored 100% again. 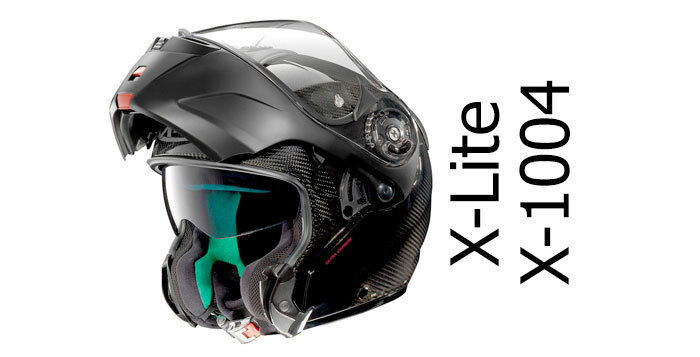 X-Lite are obviously doing A LOT right when it comes to helmet safety! The shell of the X-1004 is made of composite fibre but there’s also a carbon fibre version (see pics below). However, looking the the price difference of the carbon and composite versions and the wording on the X-lite website (high carbon content), I suspect the carbon fibre version is just the composite fibre version of the helmet with a carbon fibre final wrap to give that lovely carbon fibre look. Could be wrong but it very much looks that way. Either way, the carbon version looks fantastic. Of course, if it is just a carbon fibre wrap over a composite shell, it’ll weigh about the same as the normal composite version. 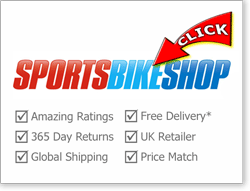 But at least you’re getting that cool carbon-fibre look for only £50 more than the regular composite helmet. Win-win! The X-Lite X-1004 is made in three helmet shell sizes. That’s good: the more shell sizes used, the better for safety we reckon (read here why) and the helmet will look better as it’ll be more in proportion to your body size. It also comes with a Pinlock-ready visor – though without a Pinlock insert in the box. So we’d suggest forking out the £30(ish) for a Pinlock if you buy an X-1004 as they’re a real must for safety and will save you fiddling around trying to clear your visor and taking your eyes off the road when you’re riding along. Same goes with the drop down sun visor – it’ll save you being dazzled and allow you to concentrate on the important job of spotting hazards. A sun visor’s a must in my book these days. Finally, the X-1004 comes with a micrometric 2 fastener. Micrometrics are really easy to use and very safe; and the micrometric 2 has an extra safety feature to prevent the (unlikely) accidental opening of the buckle. All of which means it very much looks like X-lite have covered all the bases with the safety of the X-1004. If you’re after a really quiet helmet, then you’re best stepping away from a modular because they’re generally much noisier than a full face. And you should probably start running away from the X-1004 because most owners reckon it’s a really noisy helmet, full stop. Actually, that’s not entirely true because a couple of owners we found said it’s pretty quiet – just that everyone else disagreed! To be more specific, it seems a ton of noise comes in through those excellent top vents. Close them and things quieten down, open them and it gets all wind-blasty again. Also, quite a few folks reckoned the visor whistles. I doubt everyone has the problem but we found about half a dozen who did: when the visor’s up (or nearly up) it whistles. Move your head a bit and it stops – so it sounds like it’s definitely the visor to blame. In fact one reviewer we came across actually swapped visors with his old X-1003 and found it made the 1003 whistle and the 1004 was now quiet! It might be that X-Lite push out a new version with these faults fixed soon. 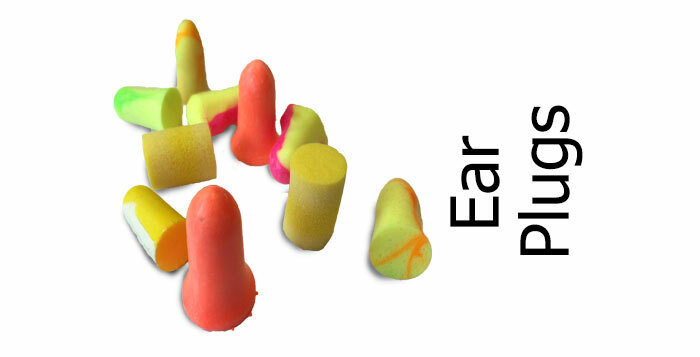 But until they do – either stick in some decent ear plugs (which you should probably already do) or use our smart filters to find a modular with exactly the features you’re looking for. The X-Lite X-1004 has an interesting double crown vent system – what X-Lite call their Touring Ventilation System. Air is directed through these two vents and through the usual channels in the expanded polystyrene lining and then around the scalp. This time X-Lite has used netting inside the comfort liner of the helmet to allow air to get to the head before being expelled from the helmet via the rear exhaust vent incorporated in the spoiler to the rear. Does it work? 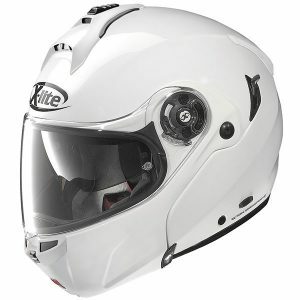 According to owners it works really well – you can feel lots of air entering the top of the helmet. The only drawback is that lots of noise gets in too (see Helmet Noise section). There’s also ventilation in the chin vent, operated by a small slider below the vent, which takes air directly onto the back of the visor to help keep the visor fog-free. It’s pretty much the same system used on the outgoing X-1003 and owners reckoned it worked well there. However this time, a few X-1004 owners said vent doesn’t quite close so there’s always air getting in, which they find a bit of a pain. So a mixed bag for ventilation on the X-1004 – some good, some not so good. There’s both a wide, clear main visor as well as an internal drop-down sun visor with the X-1004. That main visor is Pinlock-ready but, disappointingly for a reasonably expensive helmet, there’s no Pinlock anti-fog insert included in the box. If you do decide to buy a Pinlock for your X-1004 (and we reckon you very much should) then X-lite has an interesting Pinlock system that’s designed to allow you to fit the Pinlock without removing the visor and adjust it once in place to ensure you get the best seal. 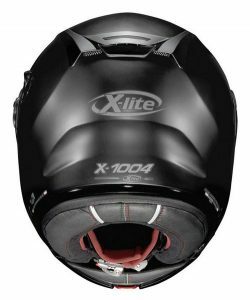 If you’re a fan of visors that work on a ratchet (rather than friction) and like your visor opening tab in the bottom, middle of the visor, then you’re in luck with the X-Lite X-1004. One drawback noted by a few owners though – the field of view is pretty narrow on the X-1004. So, if you like a nice wide visor on your helmet; one that gives masses of peripheral vision, then maybe check out our helmets with wide visors page instead. There’s also the issue of visor whistling reported by some owners (see Helmet Noise section) so that’s one to be aware of if you’re thinking about buying an X1004. As usual with X-Lite modulars, the sun visor works by a small slider to the rear of the left hand visor pivot. The sun visor is UV400 too meaning it gives maximum levels of UV protection. No problems reported with the sun visor so far (except maybe the slider is a bit flimsy). All in all, a bit of a mixed bag again for the visor system on the X-1004; with a lack of a free Pinlock insert in the box and possibility of an annoying whistling at speed ruining an otherwise decent system. 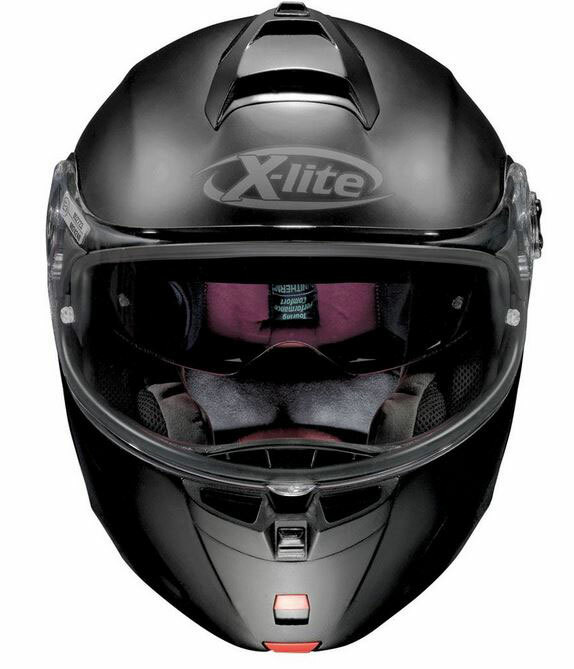 In common with other Nolan Group helmet brands, the chin guard on the X-Lite X-1004 has a two-button opening mechanism. It’s there for security reasons – so you can’t inadvertently open the chin guard but have to press/slide both buttons to open it. 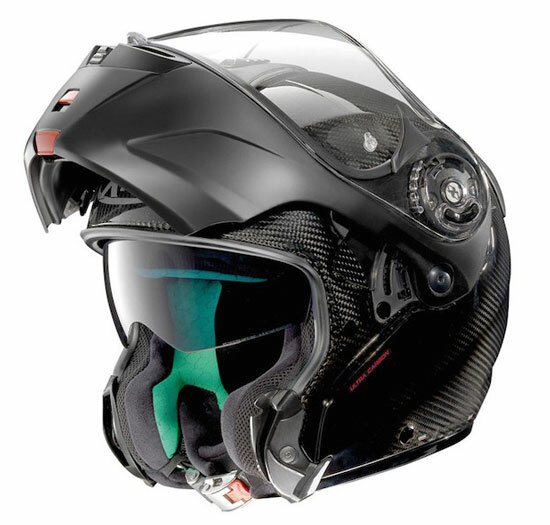 It’s a pretty good system which can still be operated with one hand and may well be one of the reasons that Nolan Group flip-up helmets (that’s Nolan, X-Lite and Grex) score particularly well in SHARP safety tests for their chin guards staying locked and closed during impacts. The X-Lite X-1003 actually let the side down a little by ‘only’ scoring 97% on keeping the chin guard locked during testing. But the X-1004 reverts back to normal by scoring a maximum 100%, which is obviously a fantastic score and means that you can rely on the chin guard in an accident. So far, we’ve found little to differentiate the X1004 from the outgoing 1003. However, X-Lite has made some changes to the chin guard by making it a bit roomier by moving the chin guard outwards a little. That should be good for giving extra space for a microphone if you fit a bluetooth set and better for safety as well . So too should the fact that the X-Lite X-1004 is dual homologated. That means it’s been type-approved to be legally worn (and give protection) with the chin guard up or down. 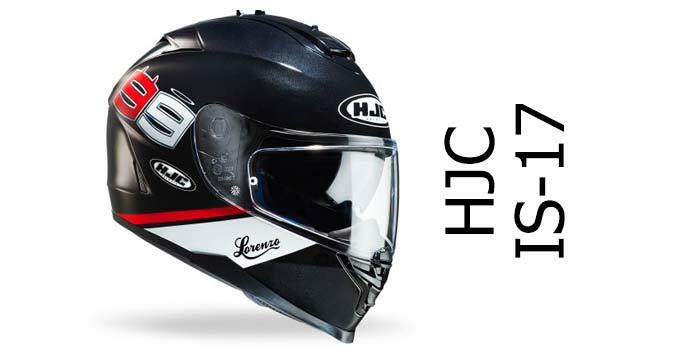 Surprisingly, not all modulars are – see our Dual Homologated pages to find all the flip-front helmets that are legal in the EU to be worn with the chin guard up as well as down. Action of the chin guard is said to be nice and smooth and, once you get a hang of the two-button operation, nice and easy to use. The X-Lite X-1004 has what X-Lite call their Unitherm2 inner lining which features cheek pads made from single blocks of foam (which X-Lite reckon gives an even and constant pressure which doesn’t compress over time) as well as chin straps that are integrated into the lining to give improved cushioning. There’s also glasses grooves in the side of the linings to help make putting your glasses on/off easier, as well as stopping the stems pushing into the side of your head. 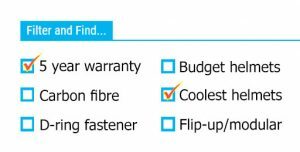 According to X-Lite, this system is reversible – not entirely sure why you’d want to make it reversible, but there you go. There’s also a removable neck roll that can be whipped off by undoing the zip at the rear – to with aid ventilation, comfort and cooling when it’s a bit warmer. And of course, there’s that larger chin area to give more space at the front of the helmet – great if you’ve a big chin – or big microphone for that matter! Oh, and it comes in a particularly wide range of sizes – from a weeny XXS all the way up to a gargantuan XXXL – one of only a few helmets that go up/down to these more extreme sizes. So, how does all that work in practice? Owners seem to think it’s a really comfortable helmet with insides that feel premium. And even though it weighs in at a porky 1.54kg (3.8lbs), a few said it feels light. It’s actually a bit heavier than the average modular helmet, and a chunk heavier than the average composite fibre helmet (about 1.46kg) though if you get a carbon fibre version it’ll knock about 100g off that again. Still, the main thing is how it feels on the bike, and if folks say it feels light, then happy days. 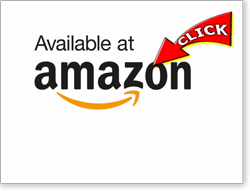 At the time of writing, there’s two different graphic options. There’s the plain versions (black/grey/silver/white/hi viz) called the X-Lite X-1004 Elegance N-Com (the N-Com part just means it’s compatible with Nolan’s N-com bluetooth sets) and the X-1004 Nordhelle range of designs. Like most manufacturers, they’re always knocking out new graphics and designs so if you’re interested, it’s probably worth clicking the links to our recommended retailers below to see the latest designs and deals available on the X-1004. Here’s a 14 min video from Revzilla. 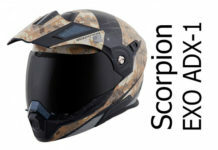 The X-Lite X-1004, like all helmets with N-Com in their name, is designed to integrate with Nolan’s N-Com bluetooth kit. All X-Lite helmets come with a 5 year warranty too. Lava Grey X-Lite X-1004 Elegance N-Com. The X-Lite X-1004 looks like it’ll be a worthy – if flawed – successor to the highly rated X-1003. 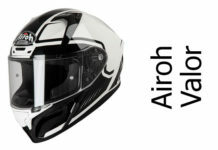 That was a useful helmet and scored well for safety as well as offering lots of the kind of features we look for in a modular – bluetooth integration, Pinlock-ready, sun visor etc. etc. Looking at the X-1004, you can see it’s got more or less the same range of features. But while the two helmets look very similar, there are a few subtle design changes to the helmet shell and chin guard, as well as an updated interior. And most of these are great – that chin guard is safe as houses according to the SHARP test and is nice and easy to use according to some owners. 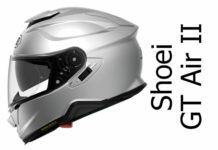 Overall, the helmet’s been rated as 4 stars (out of 5) by SHARP for safety, so it should perform well in an accident too. But there’s some niggles that have forced one or two people to give up on their X-1004s. If you buy one and find the visor whistles or it’s simply too noisy (though you shouldn’t buy one if you’re looking for a really quiet helmet or you don’t like wearing ear plugs – go for a full face instead) then make sure you buy from somewhere that’ll refund with no quibbles – like our helmet retailers. Though note, nowhere will refund a helmet that’s been worn or has the tags removed. And with that higher price tag and lack of Pinlock anti-fog in the box, it’s questionable whether the X-1004 offers decent value for money. In many respects, it’s a great helmet. Just that it’s also flawed. The question is, would you want to pay a premium helmet price with the possibility of having to put up with a few foibles? I don’t think I would. Good Alternatives to the X-Lite X-1004? If you’re after a tried and tested alternative to the X-1004, we’ve reviewed and uncovered some great helmets for you. And in this section, we only include helmets that have a proven pedigree and safety rating. First up, there’s the AGV Compact – a SHARP 4 star rated dual-homologated modular with sun visor that’s comfortable and well ventilated. It’s half the price of the X-Lite too – though owners say it’s a bit noisy. 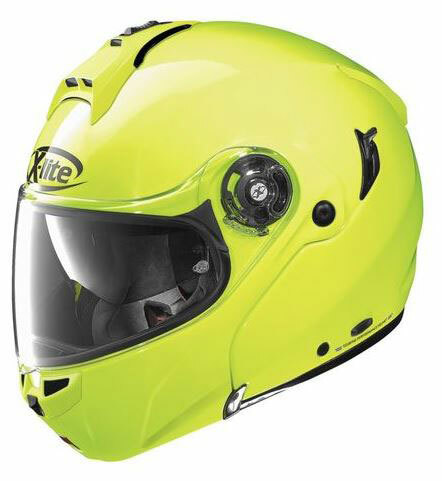 For round about the same price as the X-1004 there’s the fibreglass Shoei Neotech; that’s SHARP 4 star rated too and has a ton of useful features, including wide visor, great ventilation and integral sun visor. And there’s the Shark Evoline 3 – that’s another dual homologated helmet with the chin guard rotating right round to the back of the head to give a real open face helmet experience. 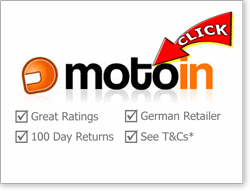 It’s got a maximum SHARP five star safety rating too – and it’s cheaper than the X-Lite. The X-Lite X-1004 is a great modular helmet in many ways but many of its owners say it's flawed. The good stuff is that it scores highly for safety, the finish is great, it's comfortable and well ventilated. Unfortunately, it's noisy and there seems to be a tendency for a whistling visor. It doesn't come with a Pinlock in the box too which it really should at this price point. Not a bad helmet by any stretch of the imagination, just a few niggles spoil what could've been an awesome touring modular helmet.